There is a lot of research that tells us that exposing young children to books increases the chances that they will be good readers – and that they’ll enjoy reading later in life. One of the things that I think about a lot when I evaluate children in that age group is their ability to access print materials. I like to talk to the parent or other caregiver to ask if there are age-appropriate books in the home and, if so, if the child is read to on a regular basis. I ask questions about how the child is positioned while the books are read – does she sit in an adult’s lap, in a highchair, or in a wheelchair, or does she lie on her back or side? Through asking more questions and through observing the child, I try to find out if he is able to pick up a book and turn the pages, even if he turns more than one page at a time. I want to know about the child’s vision and about his or her focus and attention; oftentimes, I read a short book to the child during the evaluation to get first-hand information on these issues for my assessment. 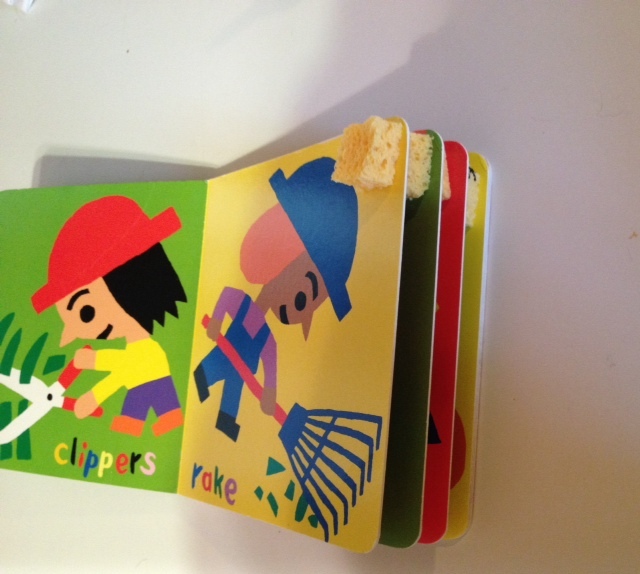 What I notice is that sometimes it’s motor skill challenges that present a barrier to the child’s access to print materials, whether it’s his ability to sit upright, to pick up and hold a book, or to use his fingers to manipulate the pages successfully – or any combination of those factors. I often see that the child’s attention needs to be extended so that she can stay on task long enough to get through a book of even a few pages. The other barrier I often observe is vision, more often an issue of visual tracking than one of acuity. I write up all of my observations and my assessment in a report. And then I talk to the parent, about the importance of early exposure to reading, about reading and talking to their young child even if they don’t think the child can follow along with the story or conversation. I tell them I used to read cookbooks to my own children when they were very young. I share ideas about where to get print materials; sometimes I find that parents are so focused on digital media that they forget about checking out books from the library, borrowing them from a friend, or shopping for them at a discount store or a second-hand store. If the child seems to have issues with attention, I suggest using a multi-media approach to reading. I encourage the parent to make noises, speak in different voices, use movement and smells and textures to support the storyline. If visual tracking seems challenging for the child, I often recommend that the parent use a finger to point to the part of the page where they want the child to look or that the parent use a hand or a piece of paper to block out extra visual input on the page. I ask them to try to reduce other forms of stimulation in the room like the TV or siblings playing or even a ceiling fan spinning. I remind them that the best time to read to their child is when the child is at the optimal level of arousal, that is, when he or she is not too sleepy but not too wound up, not too hungry or too fussy. 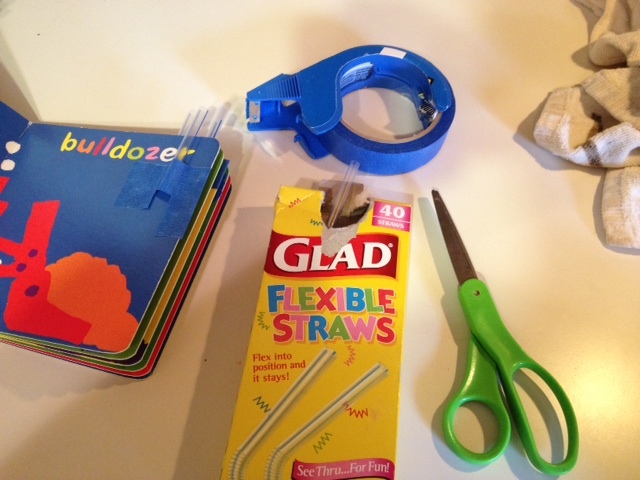 Tape cut-up pieces of plastic drinking straws to the edge of pages of a board book to create “handles” that make it easier for a young child to turn the pages, or glue small pieces of a kitchen sponge to the outside corner of pages to create a space between the pages so the child can use his finger to flip pages. As always, comments and questions are appreciated. Thank you for reading!